Family Counseling of Columbus provides outpatient clinical counseling, education, and support services to children, adolescents, adults, couples, and families. 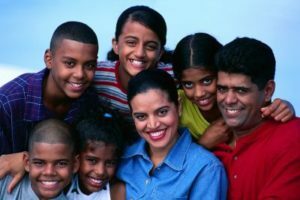 Family Counseling of Columbus emphasizes personal growth, healthy personal and relationship development, and the healthy management of situational change or crises. We help our clients face challenges such marital problems, parent-child problems, job loss, depression, anxiety, or heal from traumas such as sexual or physical abuse. Counseling may also be aimed at symptom reduction, improved functioning, and better management of emotional, mental, or behavioral problems. Counseling through Family Counseling of Columbus can address any of the emotional, personal, and interpersonal problems that individuals or families could experience. 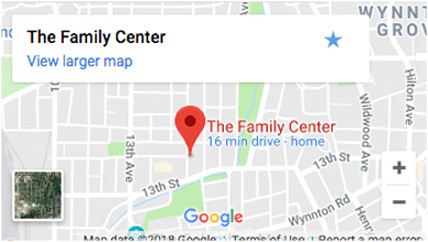 The problems and situations that Family Counseling of Columbus addresses are as varied and unique as the thousands of clients we serve each year. Essentially, we address the distress and impairment in social, occupational, educational, or other important areas of functioning that result when someone is overwhelmed by life adjustment issues or crises, relationship problems, mental illness, emotional and behavioral problems, or traumatic crises that interfere with their ability to cope, problem solve, and function at their usual or desired level. We provide educational groups and classes that are designed to help with common concerns such as parenting, anger management, coping with divorce and blended family issues. Educational programs can also be developed for local organizations, employers, schools, churches, or any group. Family Counseling of Columbus is fully accredited by the Council on Accreditation (COA), meaning that all aspects of the service you receive will meet the highest standards. 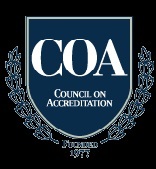 COA accreditation identifies providers that have set high performance standards for themselves and have made a commitment to their constituents to deliver the highest quality services. We are proud that Family Counseling of Columbus has earned this level of distinction. All aspects of our service delivery are “measured” against national standards of best practice. Meeting these standards ensures that services are accessible, appropriate, culturally responsive, evidence based, and outcome-oriented. In addition, COA accreditation means that you can trust the services you receive are provided by a skilled and supportive workforce and that all individuals are treated with dignity and respect. In addition to receiving the distinction of being an accredited program, Family Counseling of Columbus has also been recognized by regional universities and counselor training programs as an approved internship site for mental health professionals and counselors in training. Working with the top training programs in our area not only means that they have given Family Counseling of Columbus their “stamp of approval”; it also means that you can be sure that Family Counseling of Columbus clinicians remain informed and current on the latest research and best practices identified in the counseling and mental health fields. While accreditation and other professionals’ approval are important, what matters most is whether or not Family Counseling of Columbus can make a difference. Each year Family Counseling of Columbus serves approximately 5,000 men, women, and children; 95% of those we serve report an improved sense of hope, relief, and ability to cope and function after their first session, and 98% of our clients would recommend Family Counseling of Columbus to family and friends in need. If you need a difference in your life…let us help you make it!